A Sampling Bee: Spring Cleaning GIVEAWAY with Fresh Wave! Welcome to A Sampling Bee! Today, I share with you a Spring Cleaning Giveaway with Fresh Wave! I have teamed up with Fresh Wave to host this awesome giveaway of one(1) Odor Removing Spray and one(1) Odor Removing Gel! Fresh Wave's Odor Removing Products are made with 100% all natural ingredients. Their products are safe to use around both children and pets. Have stubborn odors around your house? Remove them with a refreshing scent of extracts of lime, cedar wood, pine needles, aniseed and clove! Enter to win below. Good luck! 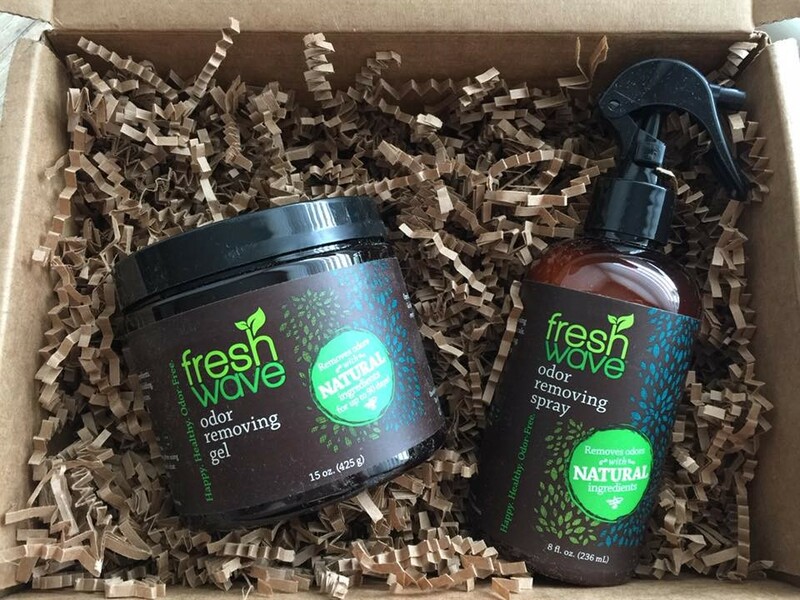 Enter to win one Odor Removing Gel and one Odor Removing Spray from Fresh Wave! I will choose one winner and contact them via email. Winner will have 48 hours to claim prize. US only. Contest ends 4/11/17. Good luck!